If you love pro horse racing as much as you love keeping things spiced up in the bedroom, we think you'll get a rise out of this hilarious Kentucky Derby t-shirt. 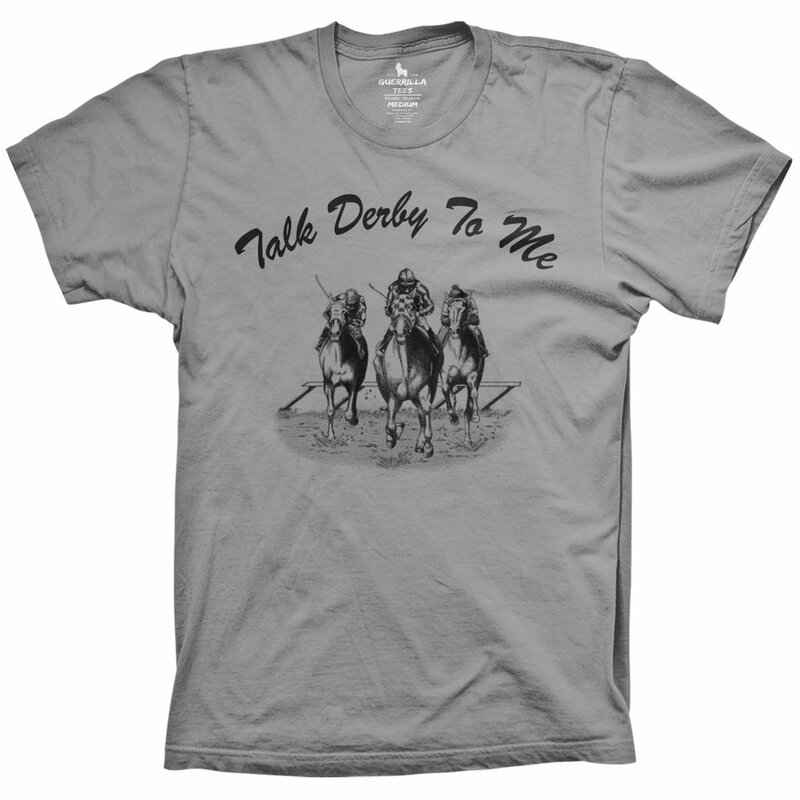 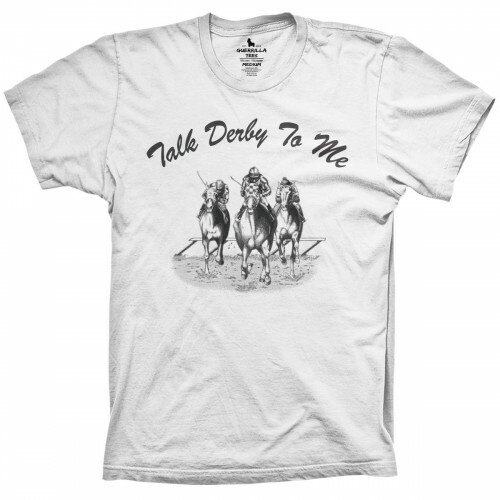 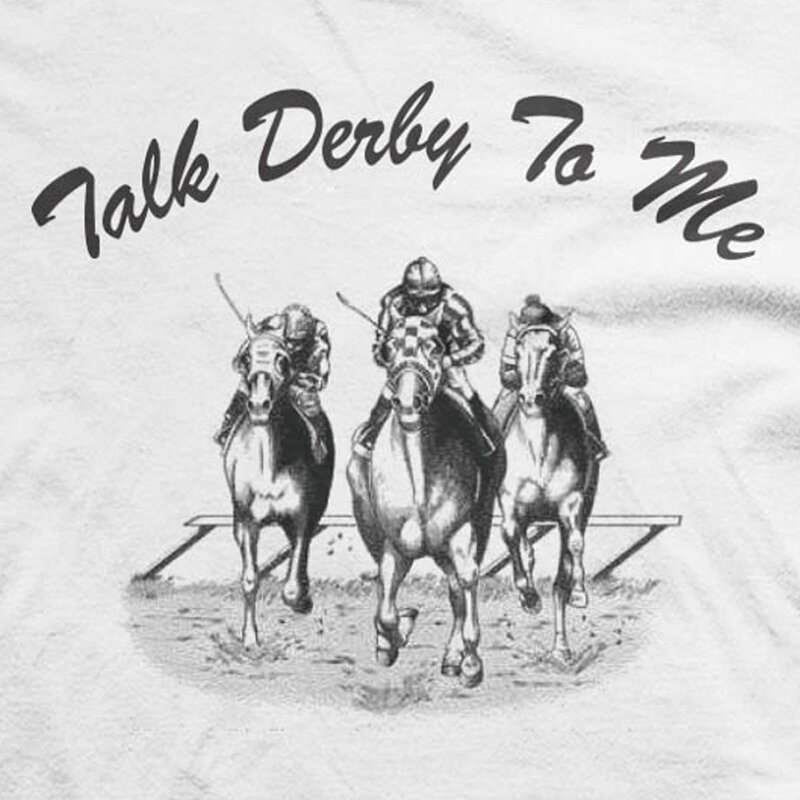 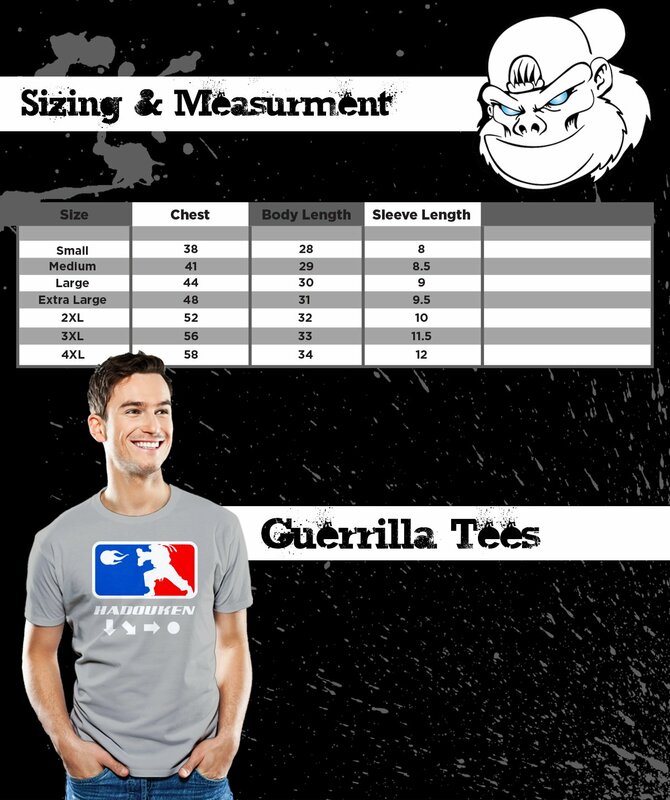 It features high quality screen-printed graphics of three horses and jockeys in full stride, along with the phrase Talk Derby to Me. Chose from white, silver or light blue and bust out the Mint Juleps.